Oh, yes. Many types of boats. We are boat owners, and my husband is a sailer. We love water sports! 2. Do you need an alarm to wake up in the morning, or do you wake up naturally? If you have an alarm, tell us what type. Yes I do! We use a clock radio. I hate it. 3. Have you ever had a yard sale? 4. Do you like kitchen gadgets? What are some of your favorite? 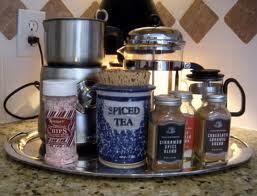 Here's mine on my beverage station tray. 5. 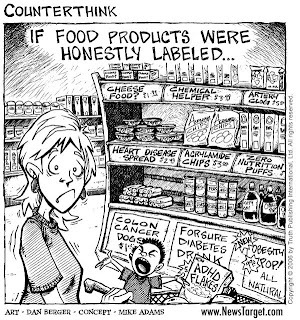 Do you read labels at the grocery store? Yes. But I don't like it because it always depresses me. 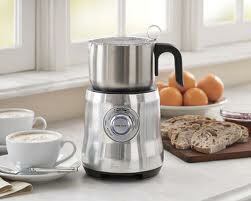 I love kitchen gadgets also,but I don't have a milk frother. That is very cool. I hate reading labels too, very depressing. 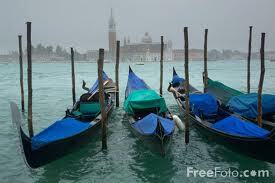 I want to be on one of those Venetian gondolas! But, I'd really settle for the porch swing, nice! And so is the interview. I love sailing. I enjoyed a gondola once when in Venice. I like your beverage station. So inviting! That's a great idea. HAve a good week! I love to read these, it lets us see the real YOU!!! I don't read labels. It's just looking for trouble. I don't want to ruin a good thing. Probably if I knew what was in some stuff, my hair would curl! This was fun and I enjoyed learning a bit more about you. Since I retired I don't set an alarm anymore. It's heaven. oh I would so love to go for a gondola ride. Its always been a dream of mine. Love your cartoon. 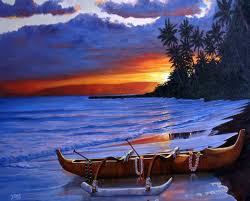 I have been a few boats, fishing, motor, houseboat, canoe, pontoon and I actually rode in a gondola myself in Vegas. LOL I love these post, we get to know a little more about you.